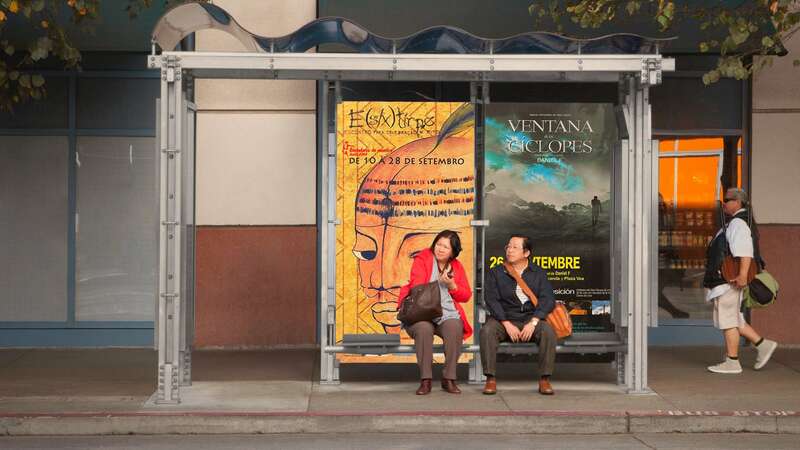 Highways and other intersections are great places to exhibit billboards. 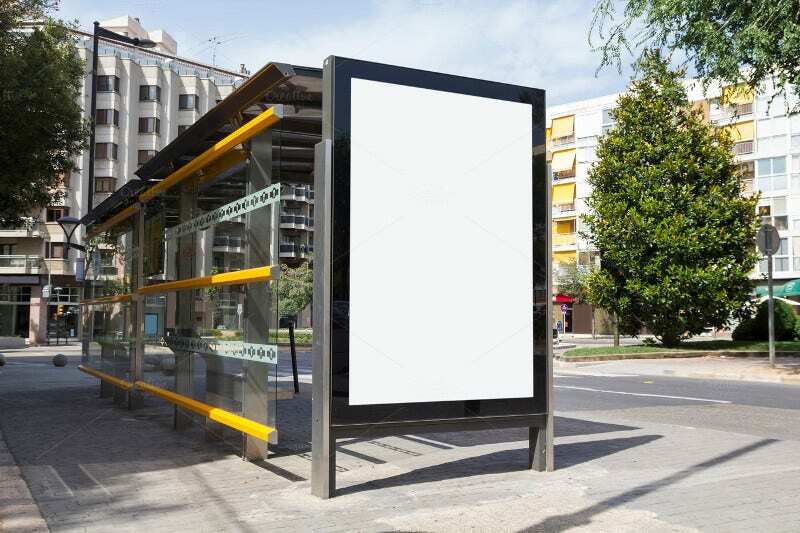 The billboard mockups in this article help to take a fresh look at the new era promotional structures. They help you endorse your discounts and other offers as well. Get one and let it hit the high traffic roads of your city this week. They drive people crazy, and if you put faith in them, they drive customer traffic as well. So, let’s take a quick walk-through. 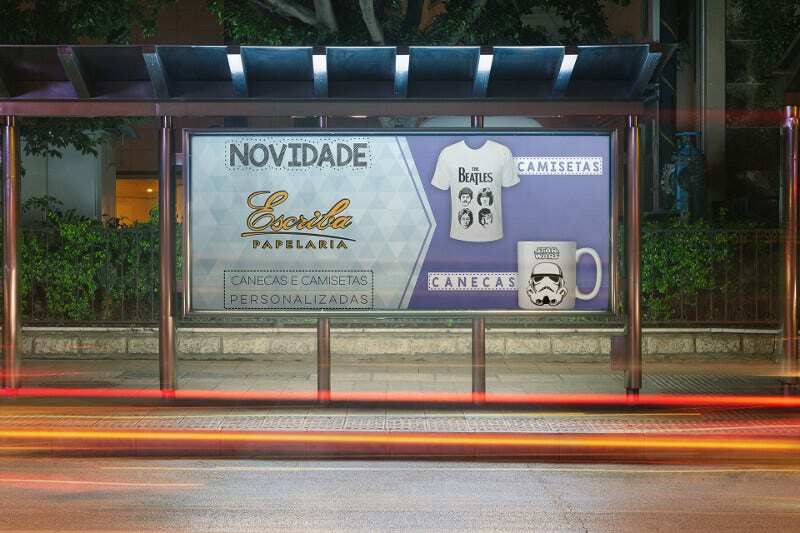 Bus Stops are a great place to put billboards. 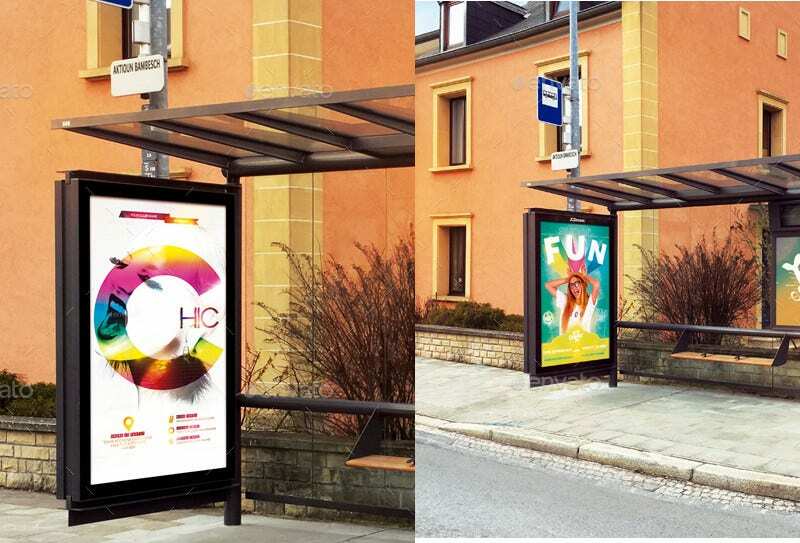 That is why Bus Stop Billboard Designs are considered as one of the best billboard outdoor advertising ideas. 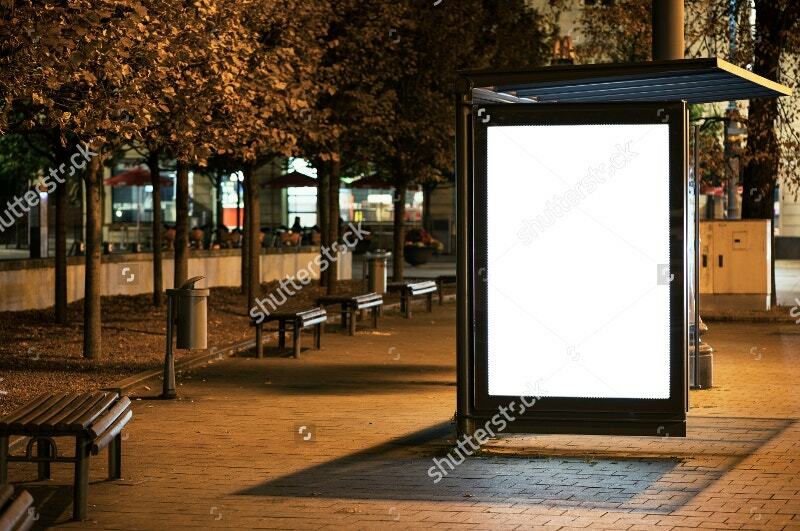 This Bus Stop Sale Billboard promotes your shopping spree. 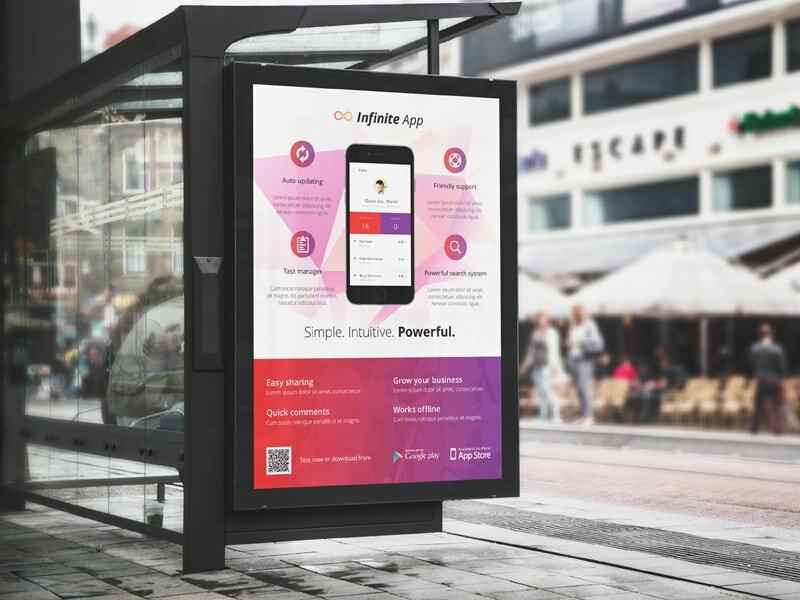 A new Bus Billboard. Paint your colors and write your ideas. This prevents pre-defined ideas from coming on your way of creativity. Use it for your business. Otherwise, somebody else will use it for theirs. 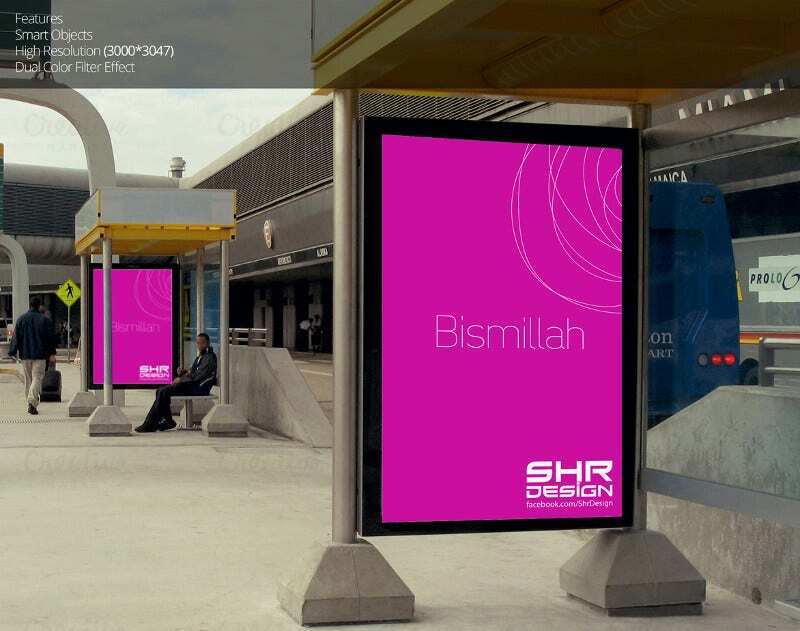 Bus stop Billboard with a vibrant and dazzling color. This mockup opens up its beauty at night view. 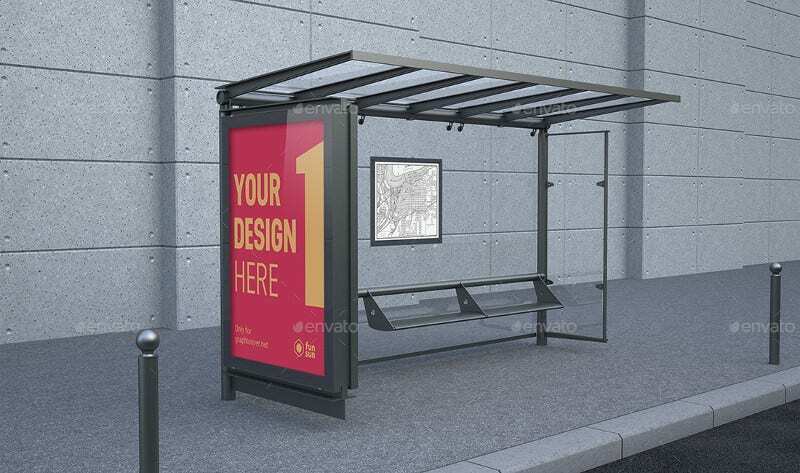 Design one and get it placed at busy junctions and other squares. 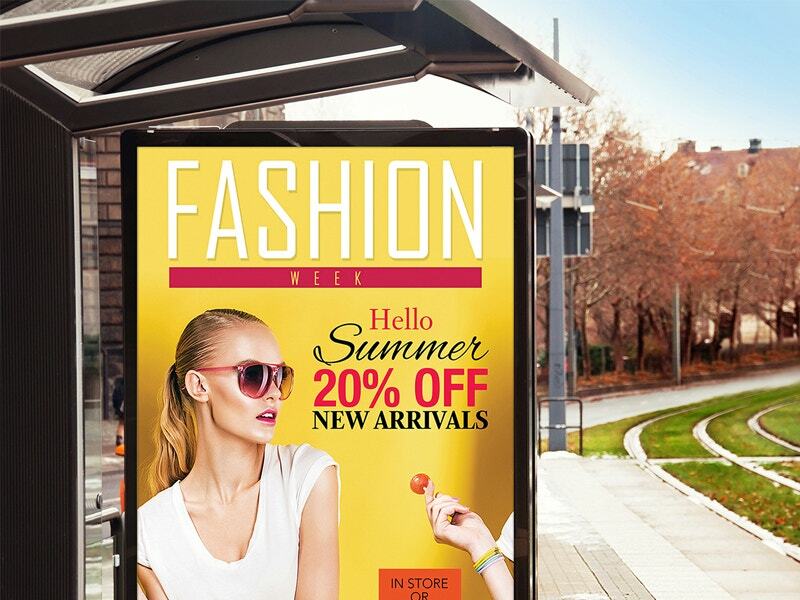 A Billboard Banner Mockup that has something for the Fashionistas. But it can be used for a complete set of other purposes as well. Because you can customize it as you need. 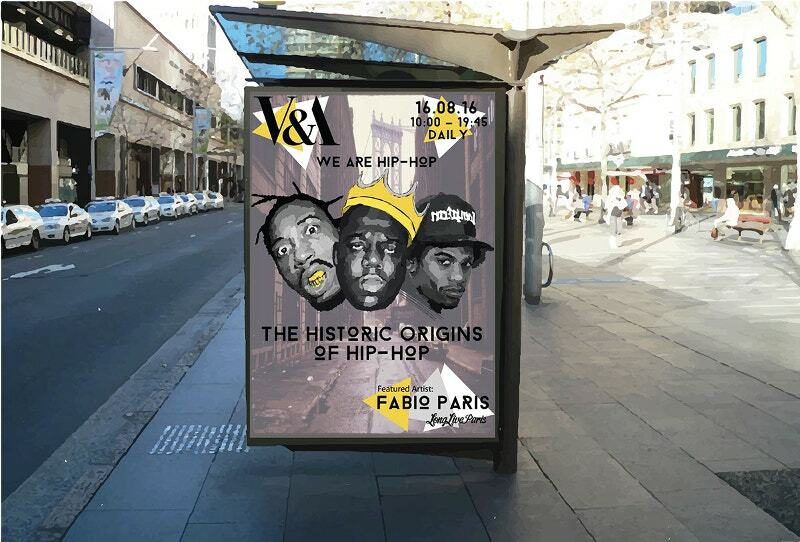 This transparent Hip-Hop bus billboard mockup gives you the preview as well. That means you can get a feel of how it will look. Another creative space in waiting. With a click, it will be yours. Adding to that, it gives you a rough view of where to place it. The mockup comes with a dimension of 3240×2500 pixels. One with maze game. 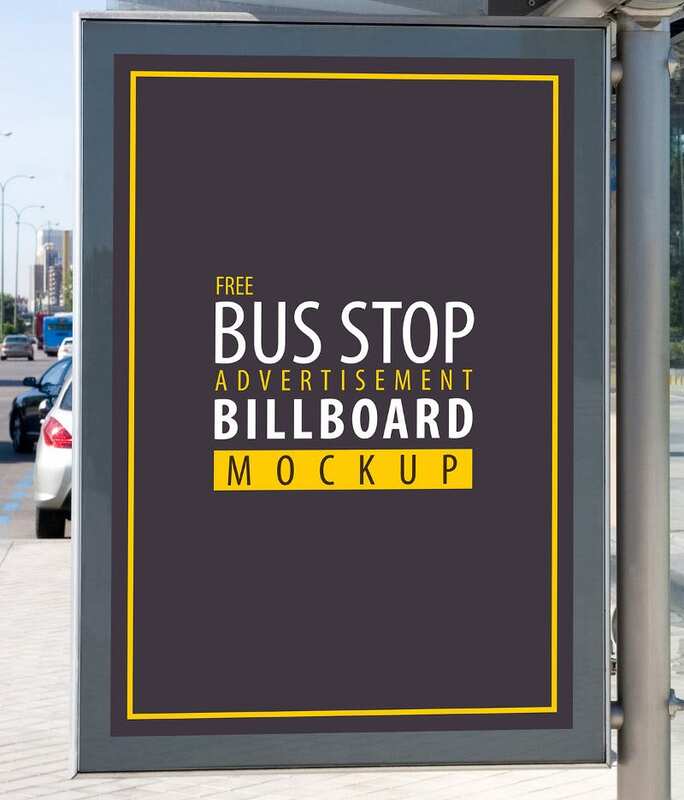 The billboard design mockup simply gives a hint about the bright screen. 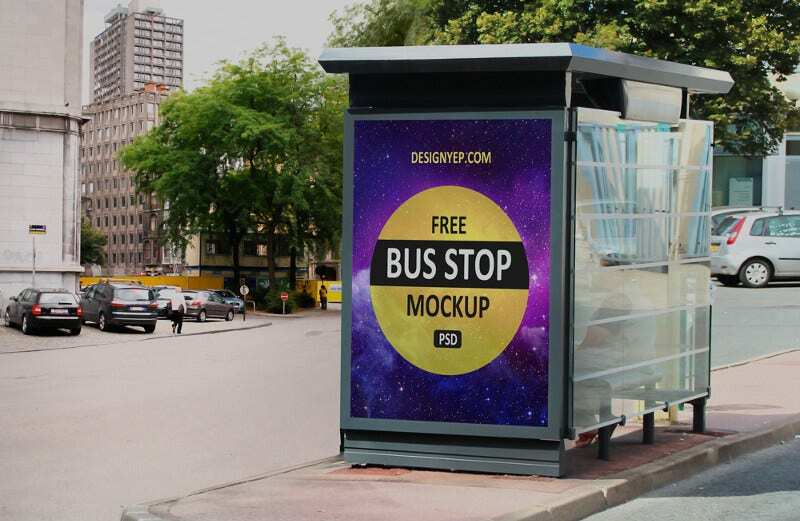 A high -resolution Bus Stop Billboard mockup that is easily editable via smart object. The four organized and layered PSD file comes with 300 DPI and all of them are print-ready. 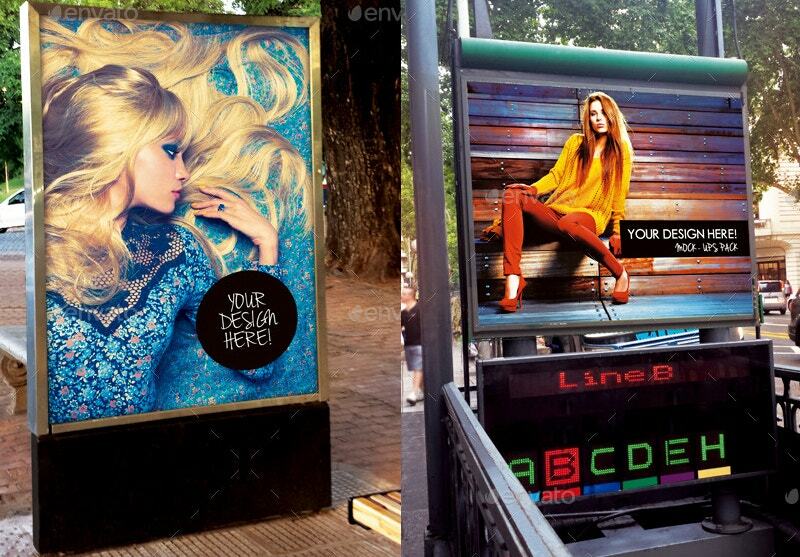 If you want to place your Billboard in a residential area, do consider this. A new Billboard in a decent area. Now imagine how your concept looks like on this! 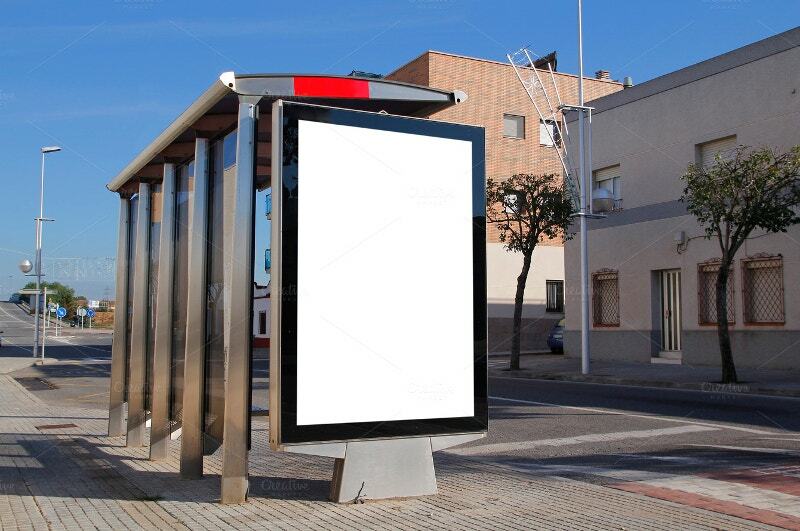 Stop advertising on semi or mediocre resolution billboards and start using this Blank Bus Stop Advertising. 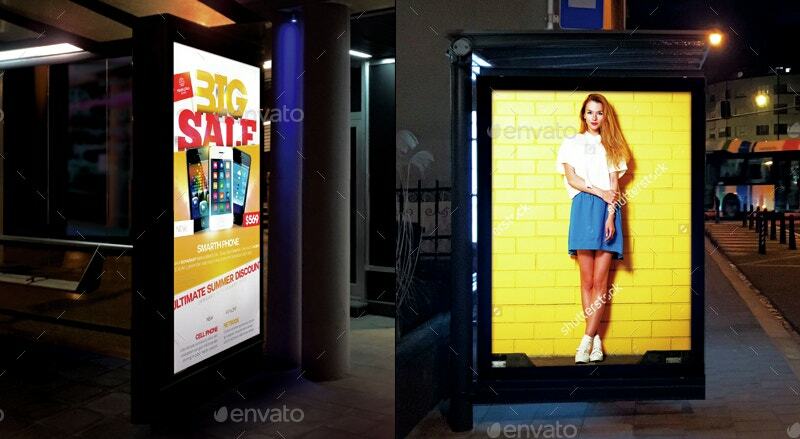 The preview gives a look of your billboard in the city at night. Not so flashy and not so dim. 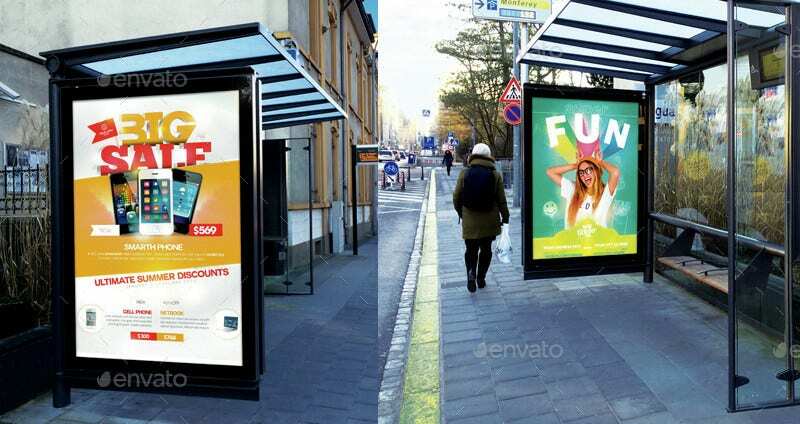 These Billboards come with both static and dynamic effects. They can easily get connected with people in no time. 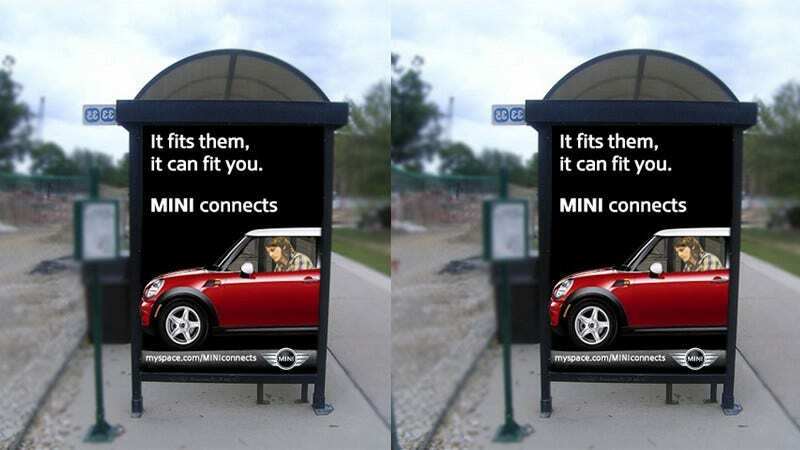 Also, they are trendy and can reach everyone, because everybody uses bus stops at one point or the other. Placing them at big squares endorses the products even better.